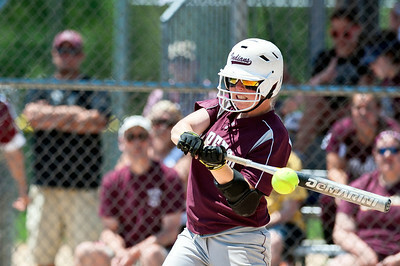 Skyler Edwards/For the Northwest Herald Marengo's Larissa Pfeiffer gets a hit Saturday during the first inning of the IHSA Class 3A Championship Game against Glenbard South. 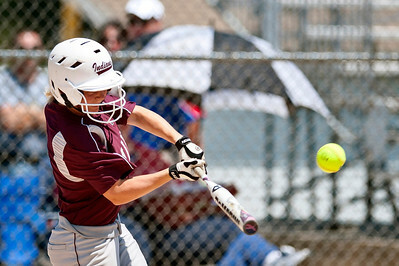 Skyler Edwards/For the Northwest Herald Marengo's Stephanie Cartwright gets a base hit Saturday during the third inning of the IHSA Class 3A Championship Game against Glenbard South. 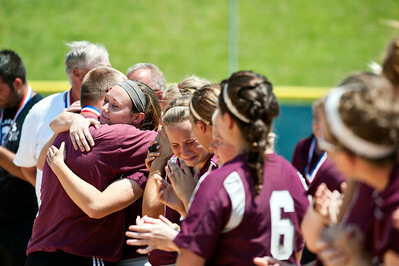 Skyler Edwards/For the Northwest Herald Marengo Indians' head coach Dwain Nance hugs Reed Karsten after the IHSA Class 3A Championship Game Saturday against Glenbard South in East Peoria. Marengo takes home second place after Glenbard beat them out 2-1. Skyler Edwards/For the Northwest Herald Marengo's Abby Kissack tries to tag Glenbard South's Tarah Valdez out at first during the fourth inning of the IHSA Class 3A Championship Game at EastSide Centre in East Peoria. 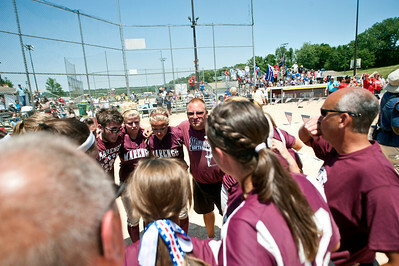 Skyler Edwards/For the Northwest Herald The Marengo Indians bring it in after the IHSA Class 3A Championship Game against Glenbard South at EastSide Centre in East Peoria. 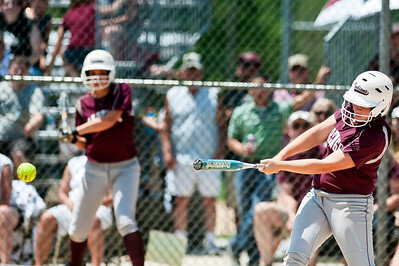 Skyler Edwards/For the Northwest Herald Marengo's Abby Kissack bats during the fifth inning of the IHSA Class 3A Championship Game against Glenbard South at EastSide Centre in East Peoria. 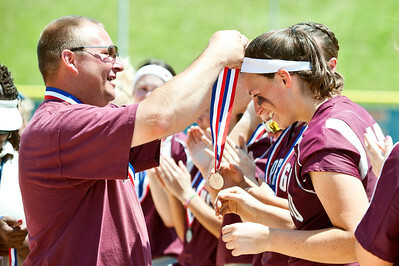 Skyler Edwards/For the Northwest Herald Marengo Indians' head coach Dwain Nance places a medal on Lindsay Melson after taking home second at the IHSA Class 3A Championship Game Saturday against Glenbard South in East Peoria. Skyler Edwards/For the Northwest Herald Marengo's Reed Karsten makes a catch while Megan Semro backs her up during the fifth inning of the IHSA Class 3A Championship Game against Glenbard South at EastSide Centre in East Peoria. Skyler Edwards/For the Northwest Herald Marengo's fans cheer on their team during the IHSA Class 3A Championship Game against Glenbard South at EastSide Centre in East Peoria. 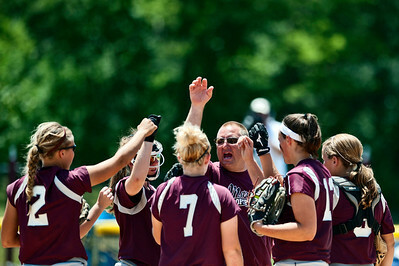 Skyler Edwards/For the Northwest Herald The Marengo Indians bring it in during the sixth inning of the IHSA Class 3A Championship Game against Glenbard South at EastSide Centre in East Peoria. 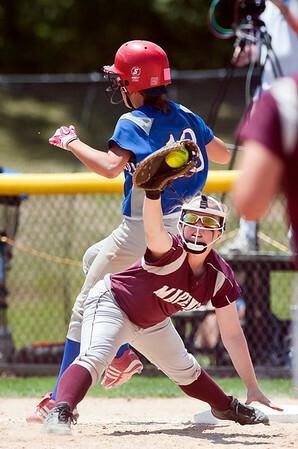 Marengo's Reed Karsten makes a catch while Megan Semro backs her up during the fifth inning of the IHSA Class 3A Championship Game against Glenbard South at EastSide Centre in East Peoria.